At Tubs Taps and Tiling we are passionate about installing bathrooms that our customers will love and providing service of the highest standard along the way so that all you need to worry about is enjoying your luxurious new bathroom. Tubs Taps and Tiling understand that your kitchen is the heart of your home, which is why we are committed to making sure that you receive service of the highest quality and a finished product that you will want to rave about to your friends! Tubs Taps and Tiling are highly qualified and experienced in undertaking all domestic plumbing work whether for new installations, repairs or replacements, as well as offering an emergency call out service at competitive rates. We are experienced in installing a huge range of both wall and floor tiles, whatever suits your taste and budget, including under-floor heating. 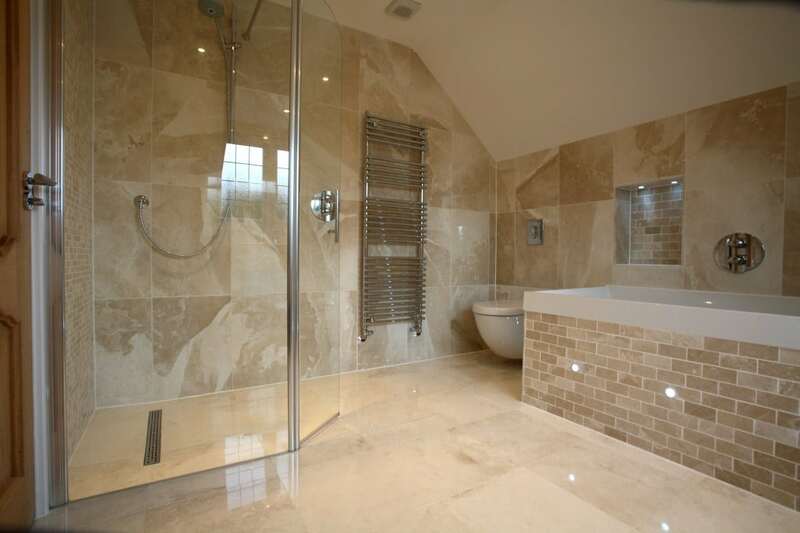 All tiling is immaculately finished to a superior standard by experienced and reliable professionals. I have no hesitation in recommending Tubs Taps and Tiling. They have installed two bathrooms for me in the last two years and I was delighted with the results. Mr E Blake, Moor Park. Colin and Ann Worth, Rickmansworth.